The world has witnessed a revolution that had swept Egypt and many other countries in the Middle East and North Africa. This revolution was seen by many as Islamism reinventing itself. The “project” represents an endeavor to fuse religiosity and rights, faith and freedom, Islam and liberty. The innovative discourses demanded the true meaning of democracy, individual rights, tolerance, and gender equality as well as separation of religion from the state. However the recent political fiasco that swept Egypt where Morsi granted himself a sweeping temporary powers that protects presidential decrees from judicial review was deemed as undemocratic and could lead to another dictatorship – a dictator with an Islamic cloak this time. While no one knows what the future holds for Egypt, the move by Morsi only gave credence to the oft-quoted mantra: “One man, one vote, one time”. We also witnessed certain factions who advocate an un-democratic, Islamic state governed by the strict version of Shariah law that hinders the progress towards real democracy. However the action by Morsi was not a proof that Islamists cannot be democrats. It must be noted that the seeds of Islamic reformation and democratization have been planted a century ago by people like Muhammad Abduh and Jamaluddin al-Afghani. The reformers contend that human understanding of Islam is flexible, and that Islamic tenets can be interpreted to accommodate and even encouraged pluralism. Hence, the compatibility or incompatibility of Islam with democracy is not merely a matter of philosophical speculations, but of a political struggle. It is not as much the question of texts as the balance of power between those who want a democratic religion and those who pursue an authoritarian version. It is more of a story of two competing social forces in the Muslim world. Considering the complexity of this topic, the progressive Islamic Renaissance Front together with Nottingham University and the International Institute of Islamic Thought and Civilization would be holding a talk discussing about this issue “Legacy of the Arab Spring: The Question of Liberty and Democracy” on Sunday, 2nd June from 2-5PM at the main auditorium, International Institute of Islamic Thought and Civilization, (ISTAC), Jalan Duta, Kuala Lumpur. The talk will be delivered by Prof James Piscatori, a renowned Professor of International Relations and Head of School in the School of Government and International Affair at Durham University. 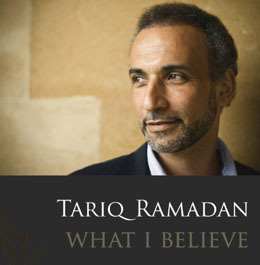 He is an expert on Political Islam and a member of the Centre for the History of Political Thought and previously a fellow at the Oxford Centre for Islamic Studies. The event will be officiated by Prof LAr. Ismawi Hj Zain, Dean of the International Islamic Thought and Civilization and will be moderated by Dr Ahmad Farouk Musa of the Islamic Renaissance Front.